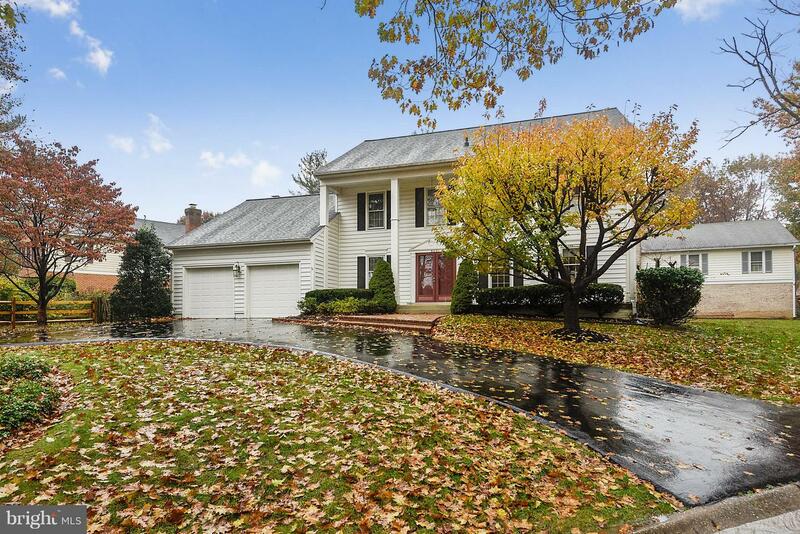 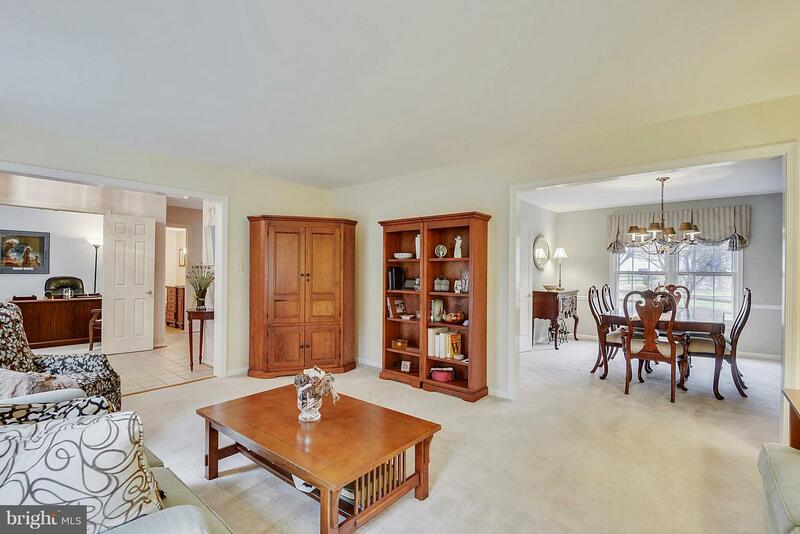 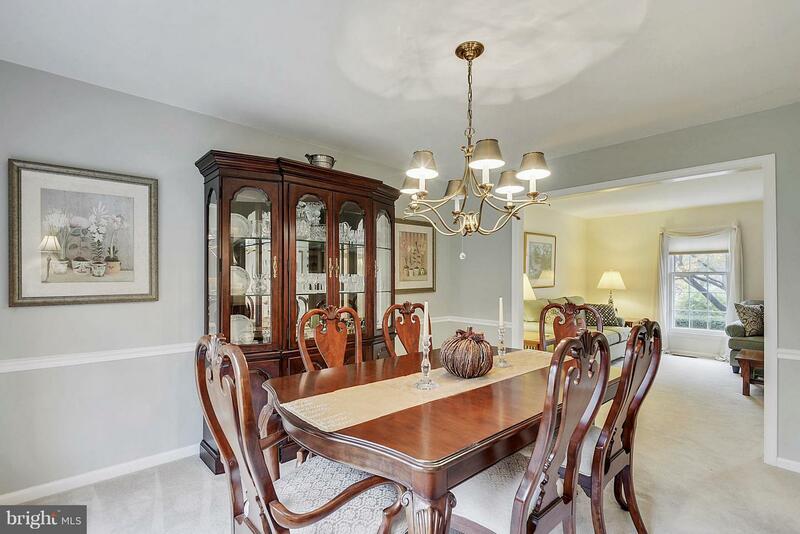 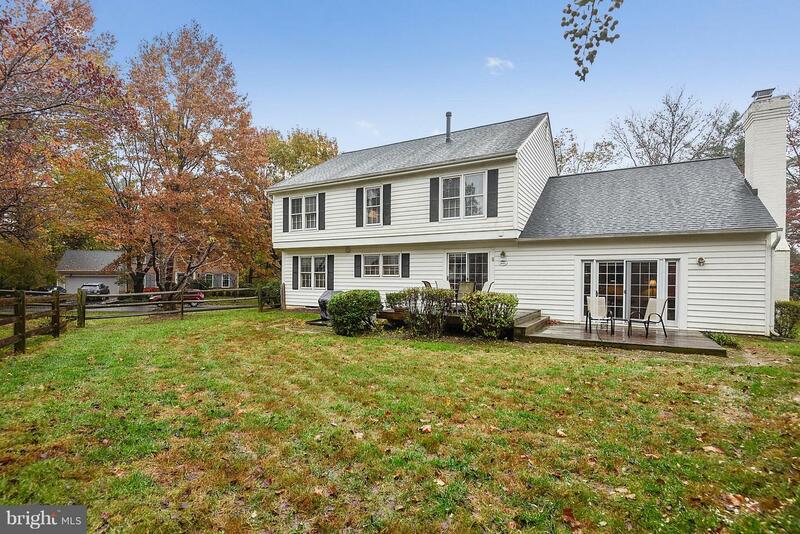 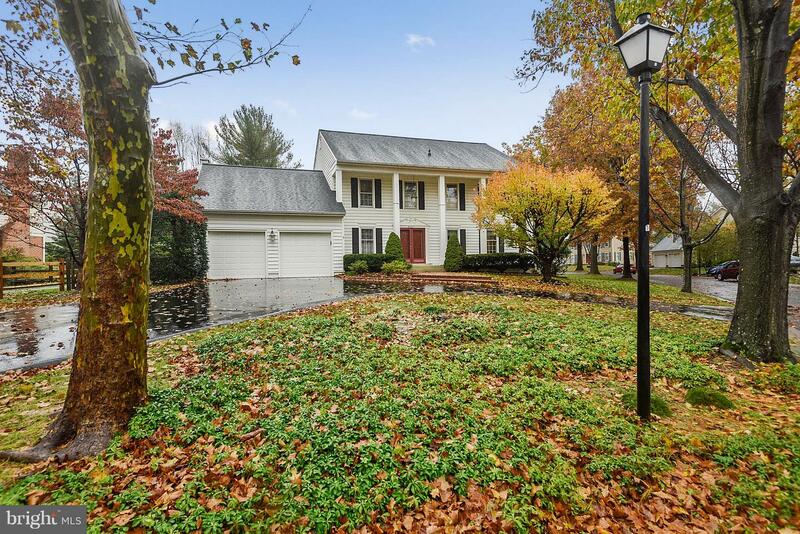 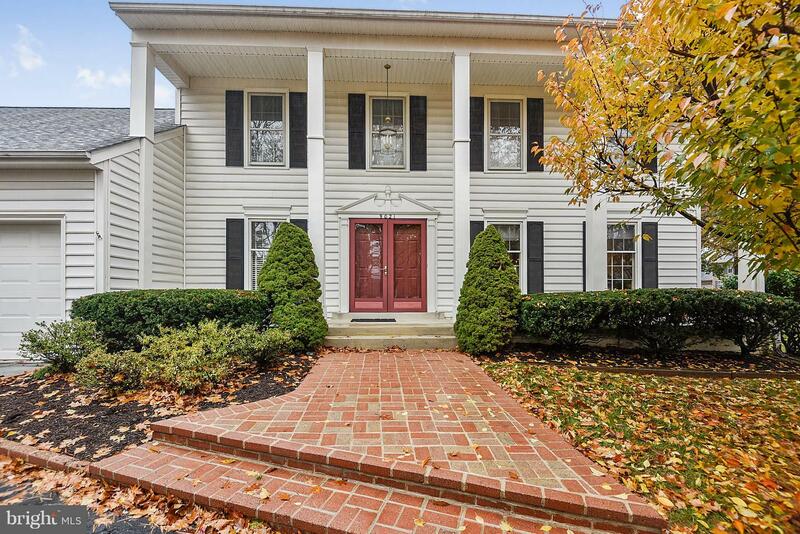 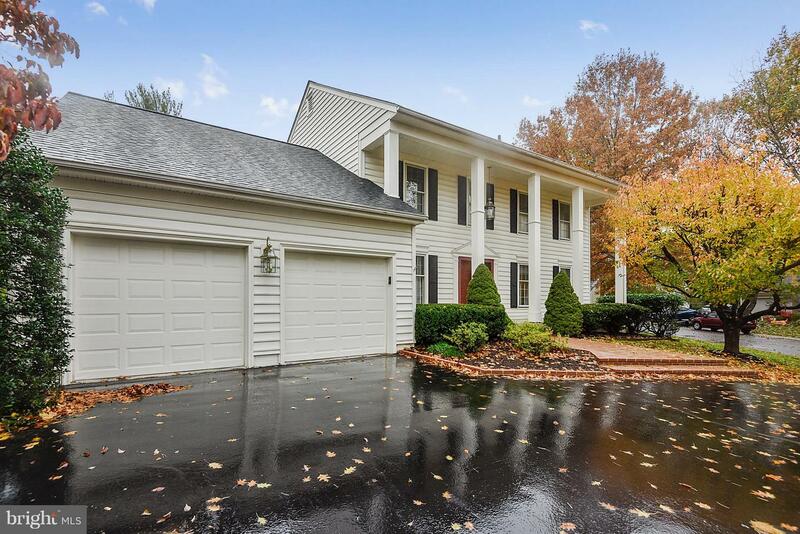 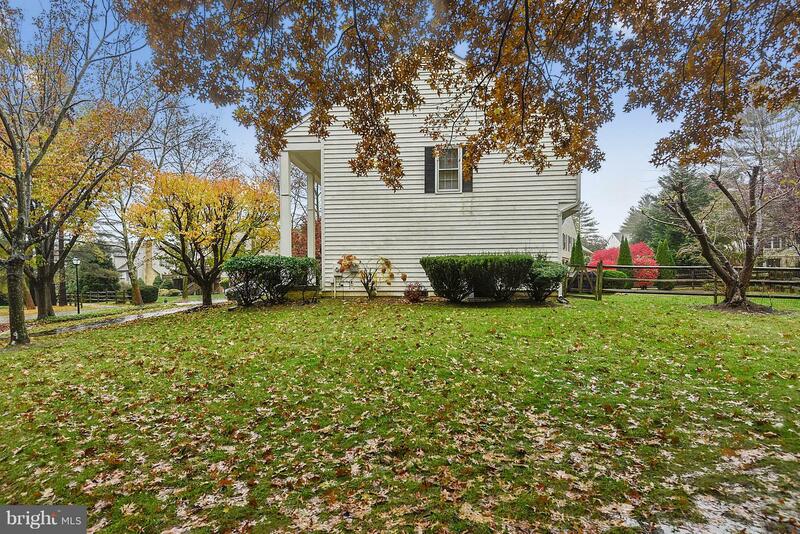 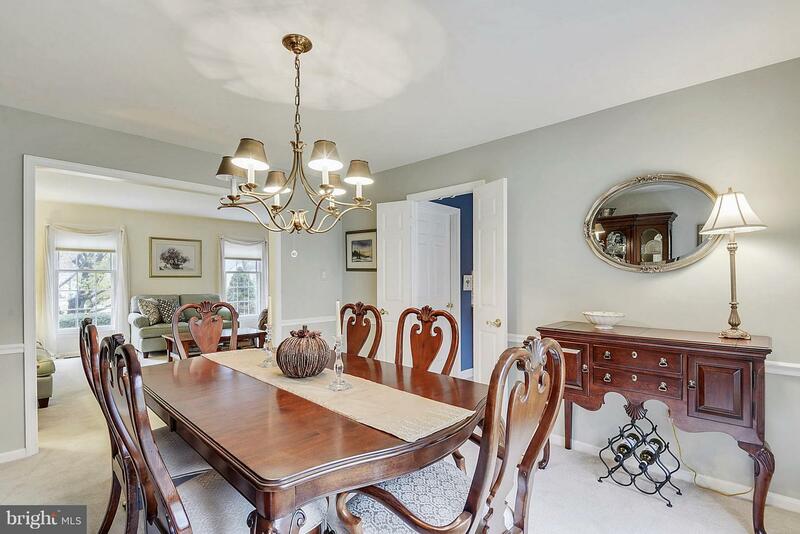 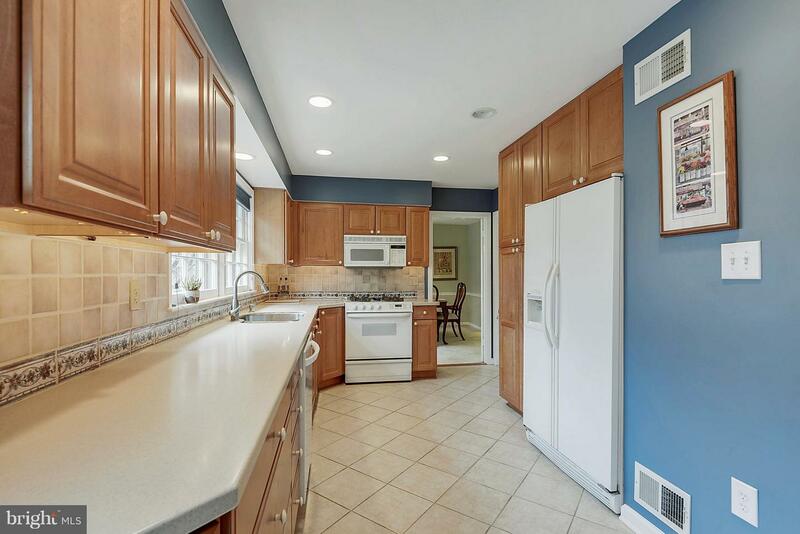 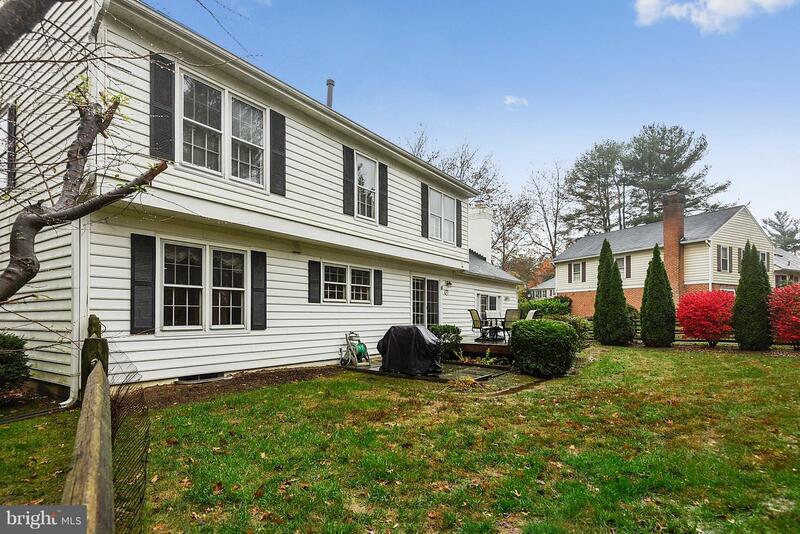 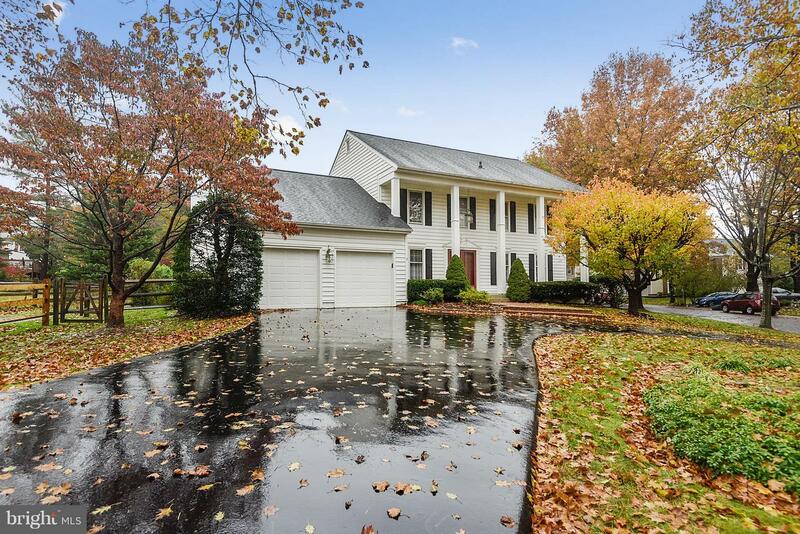 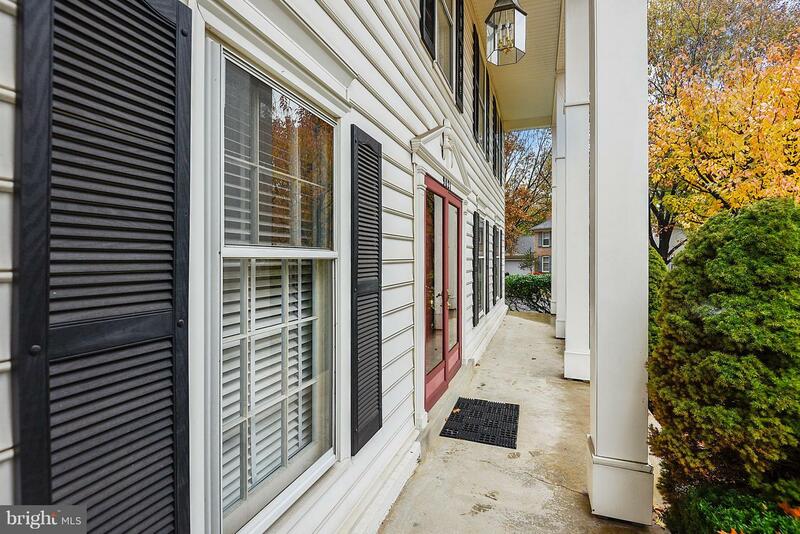 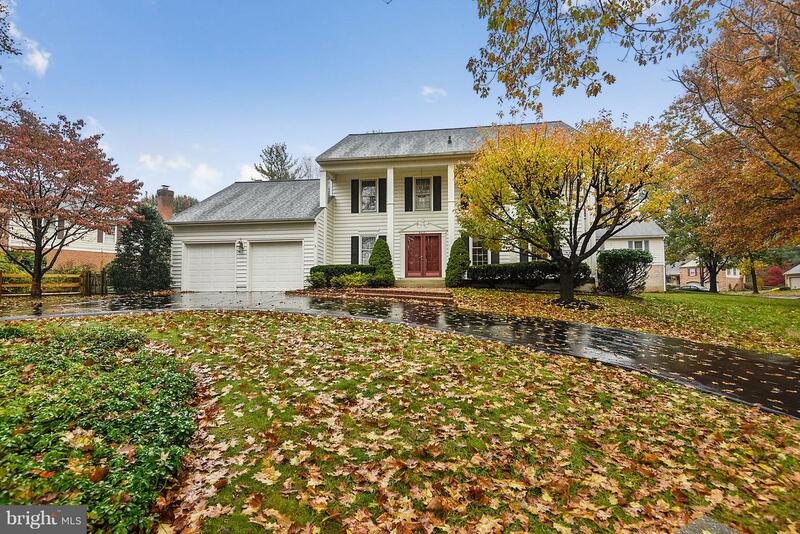 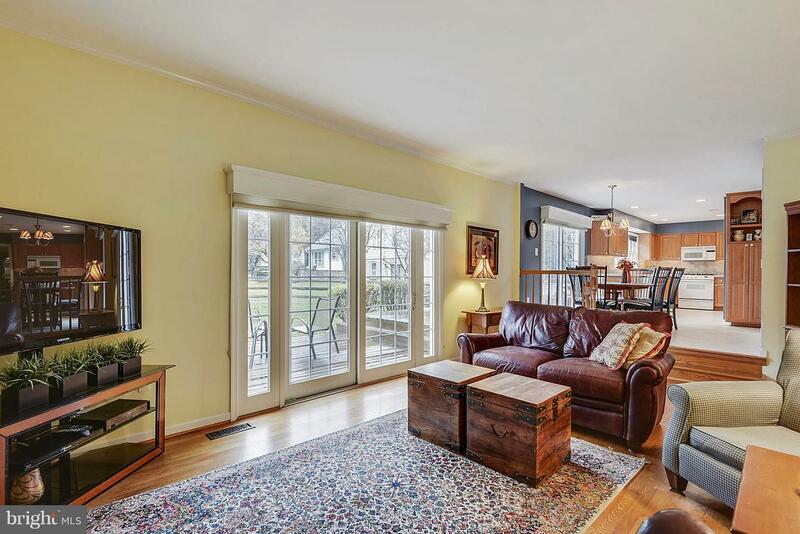 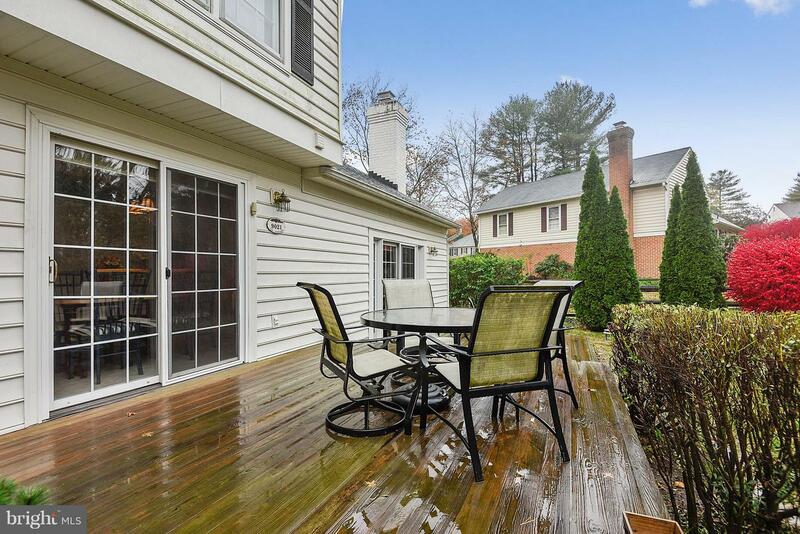 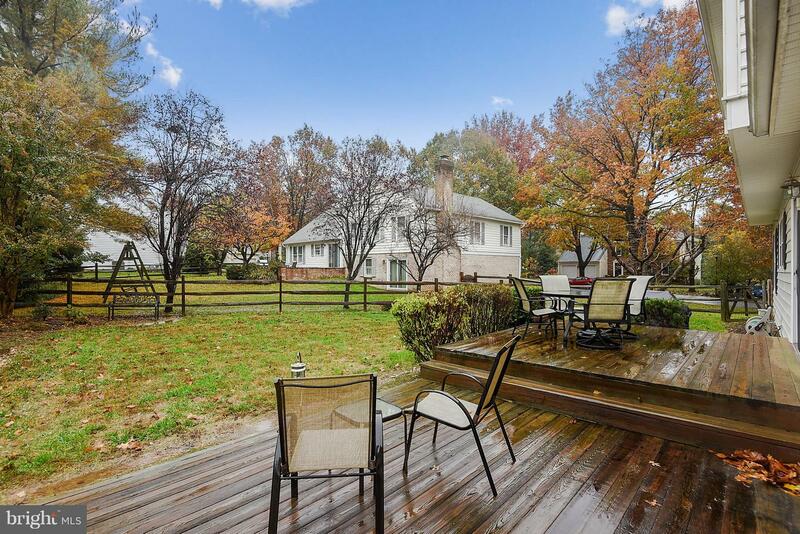 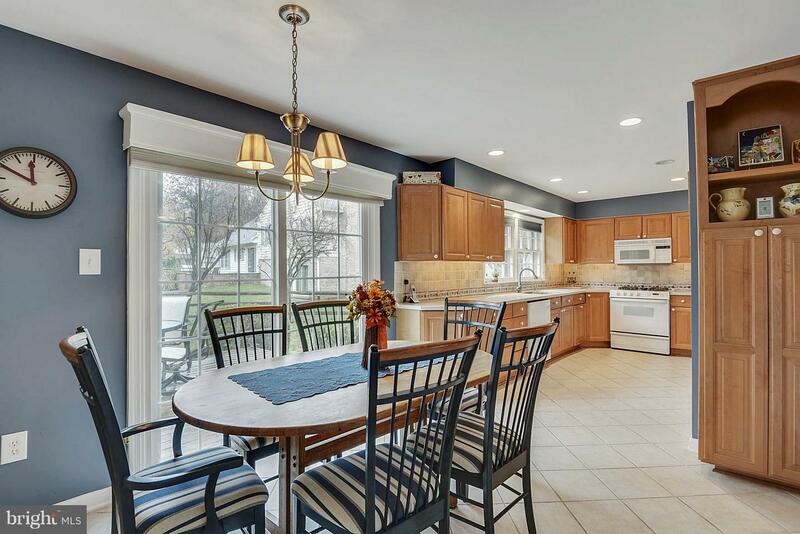 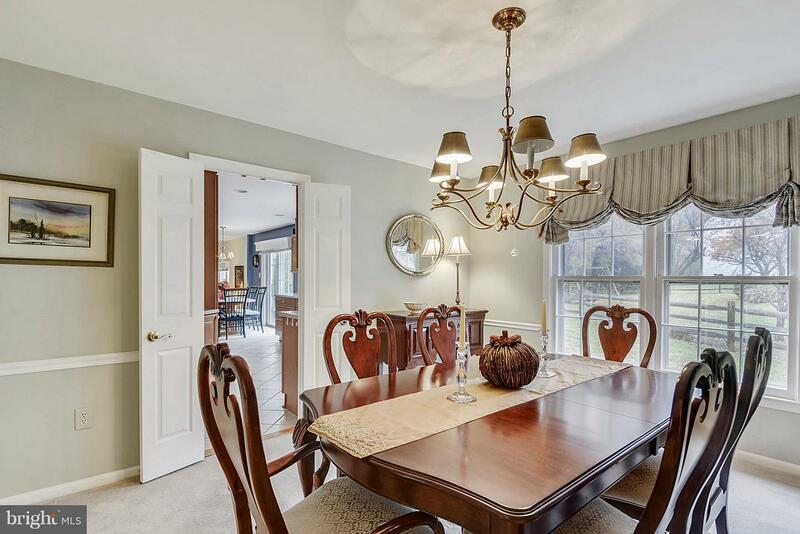 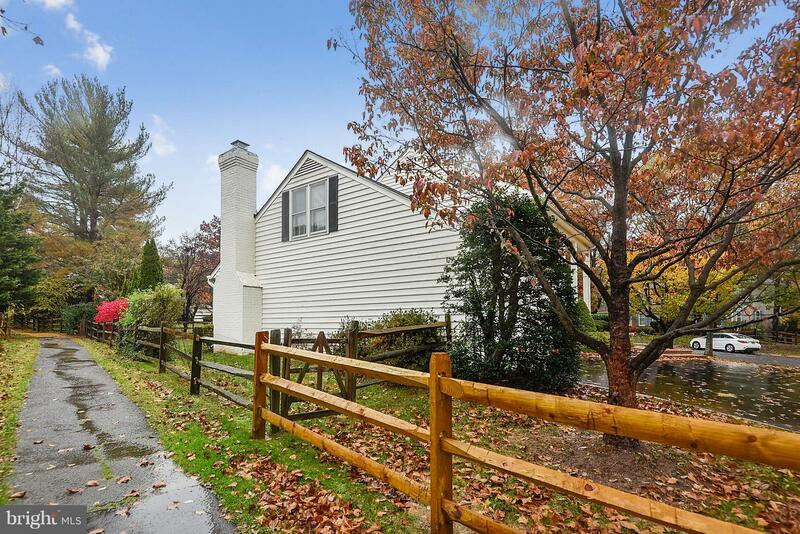 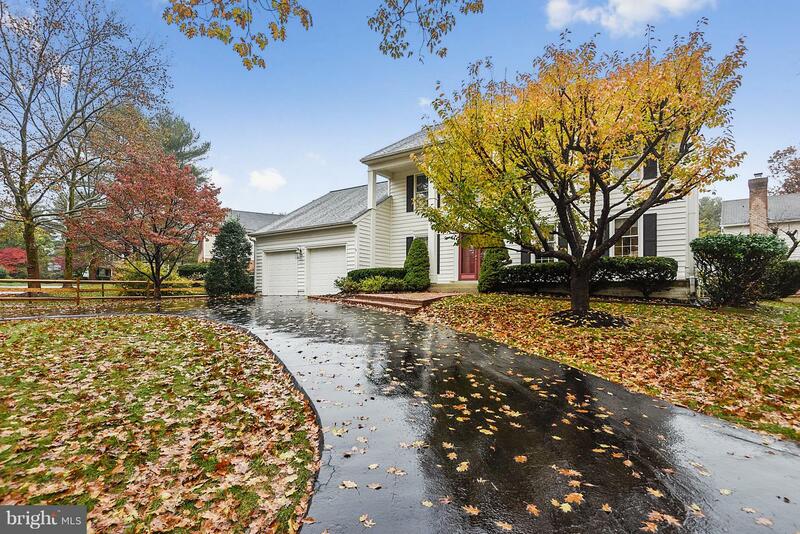 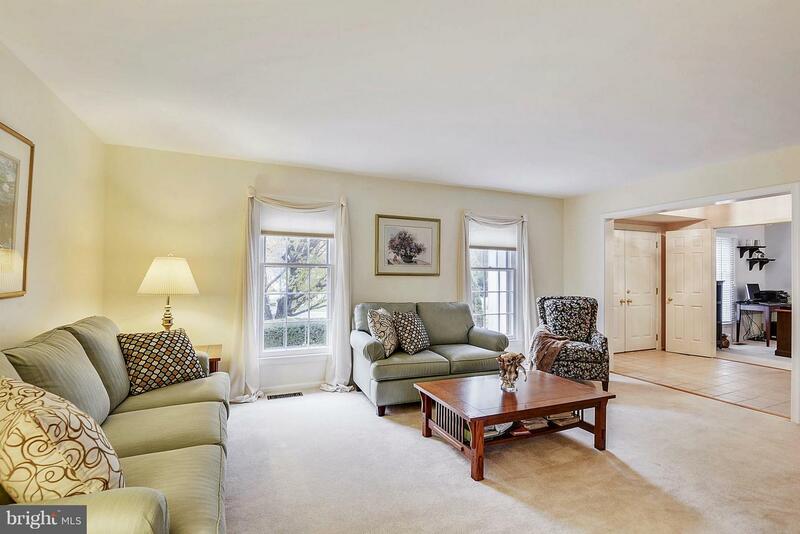 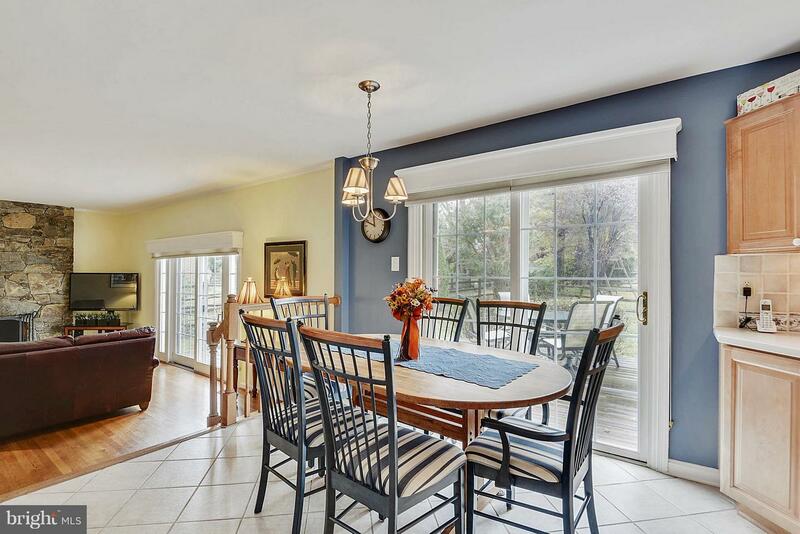 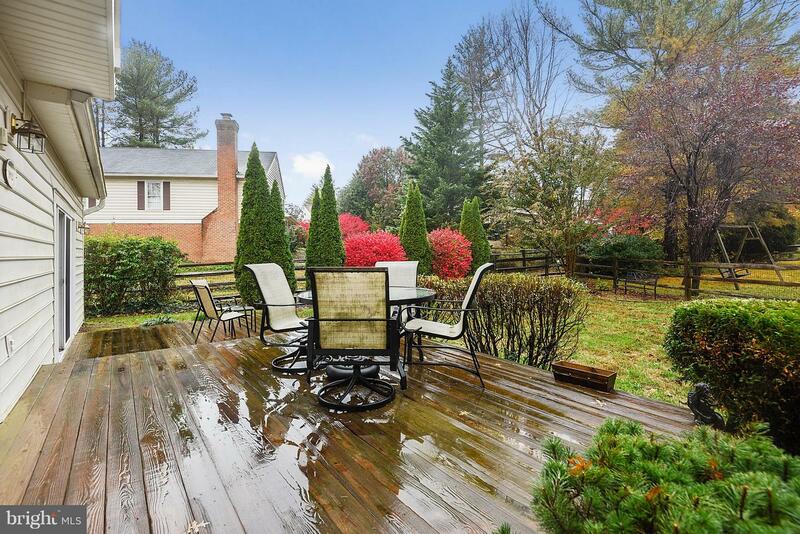 Stunning Colonial with columned front porch, 2-car garage, & circular driveway. 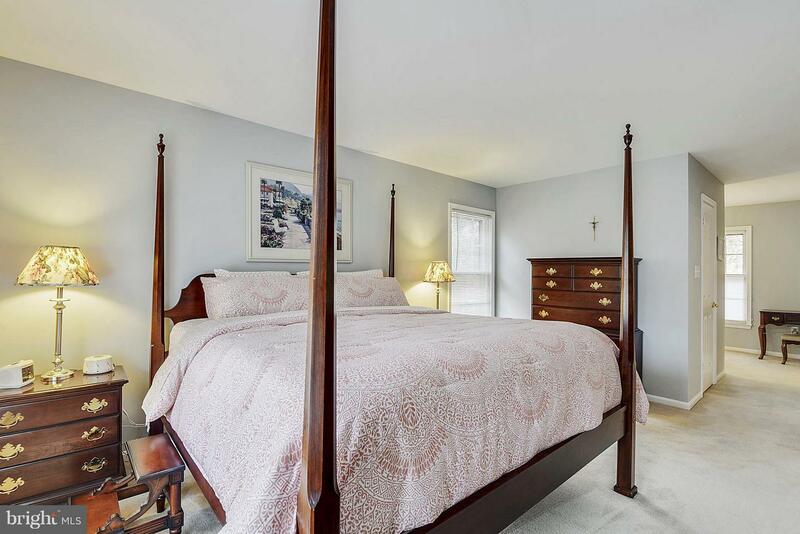 Five bedrooms upstairs. 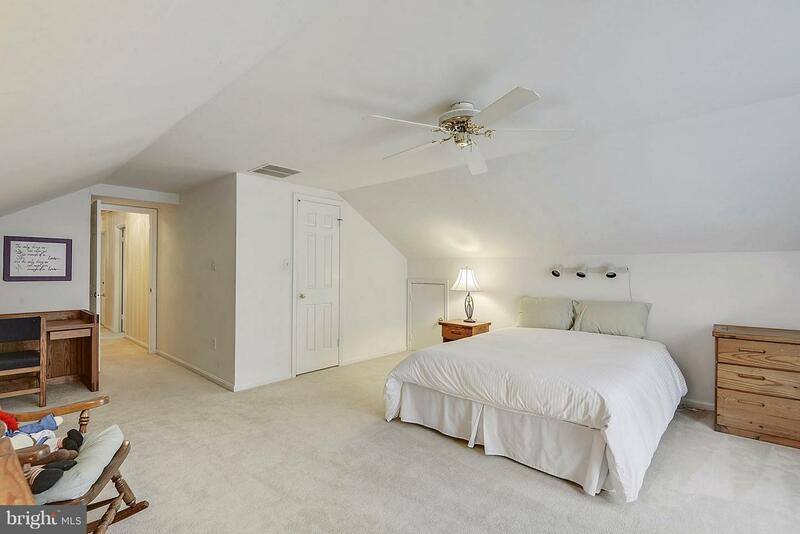 New roof (2018) with limited life warranty. 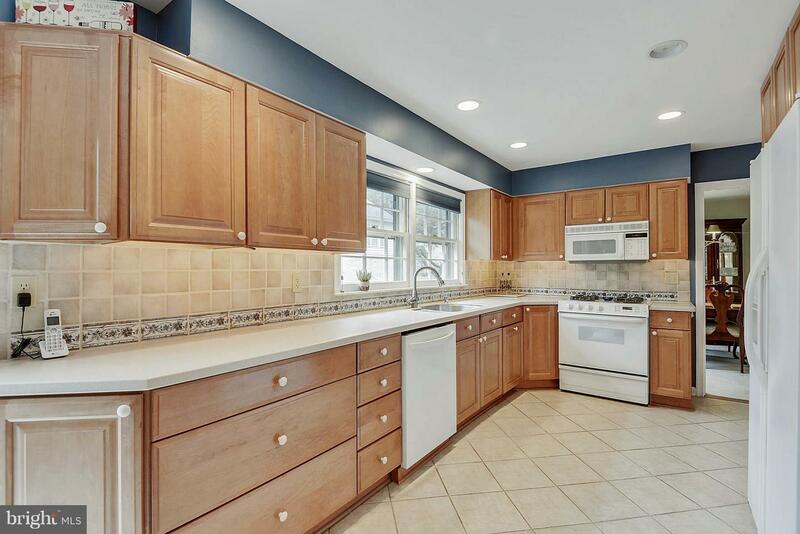 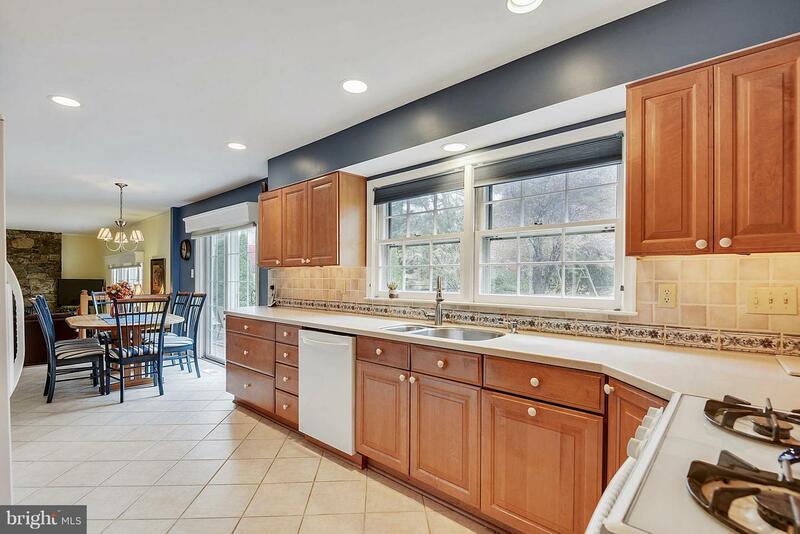 Updated kitchen has maple cabinetry, Corian counters, and ceramic splash walls. 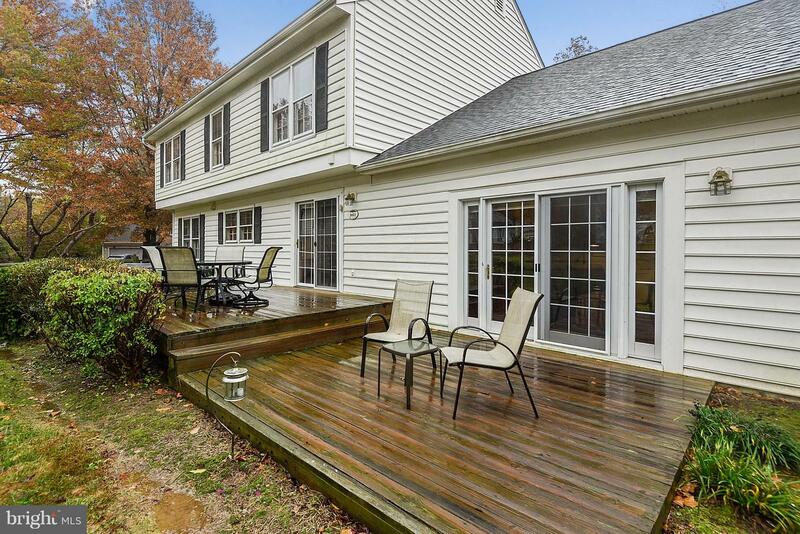 Breakfast area has replacement sliding glass door to the tiered deck. 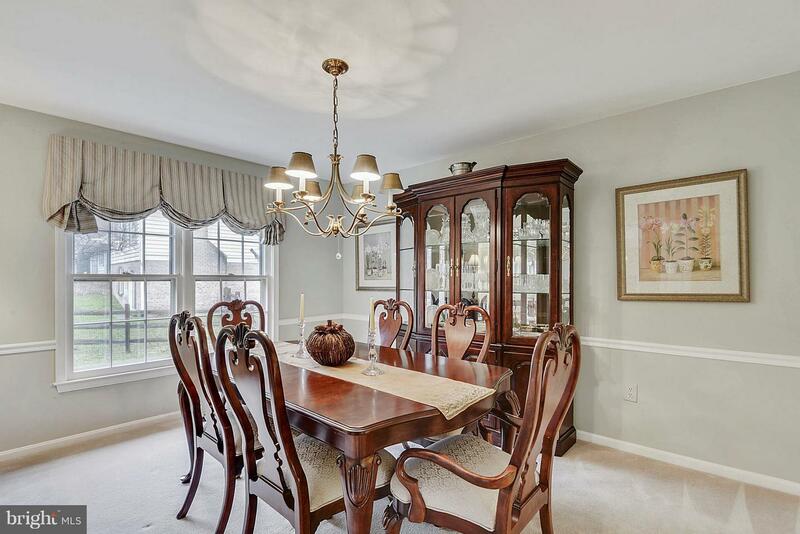 Formal living and dining rooms and main level library. 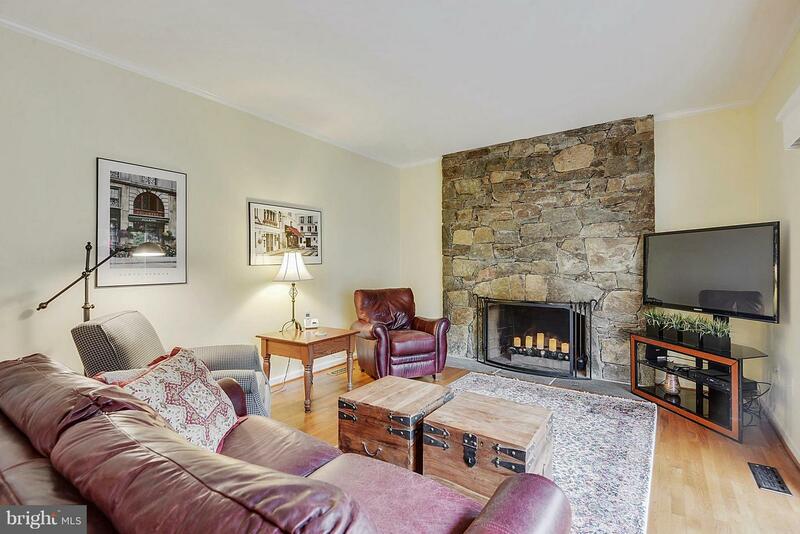 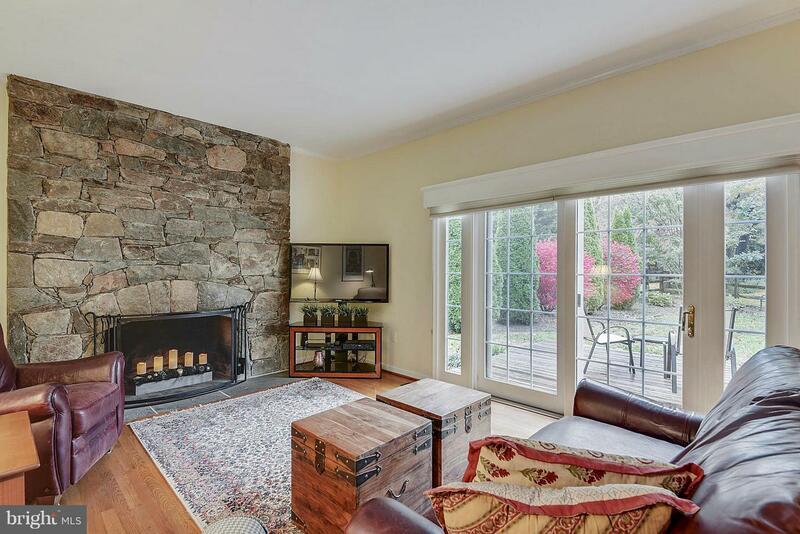 Family room has field stone wood-burning fireplace with gas line insert, and replacement sliding glass door to the deck. 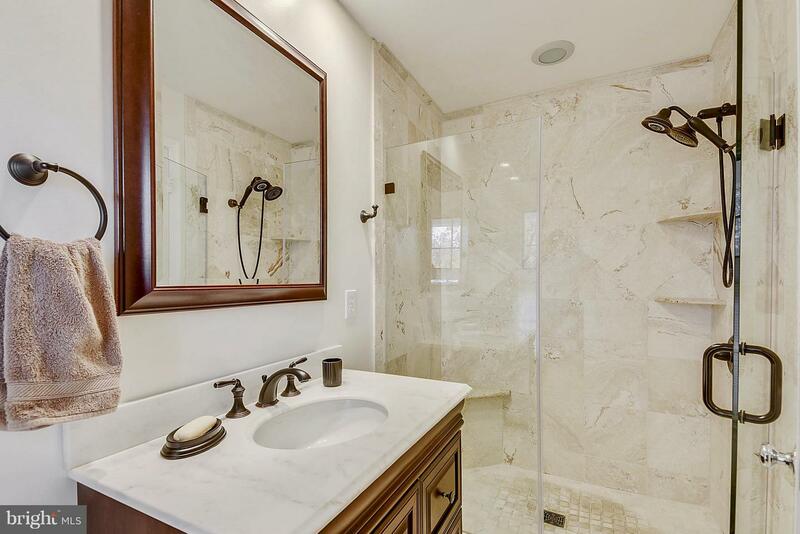 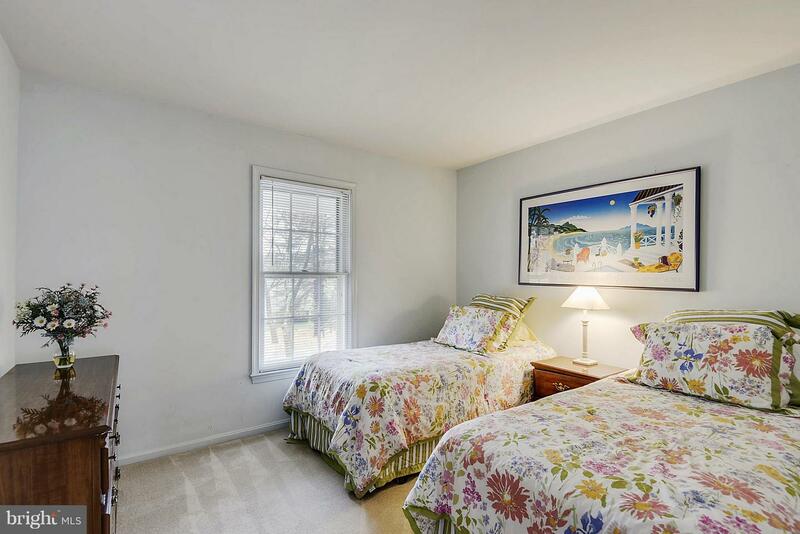 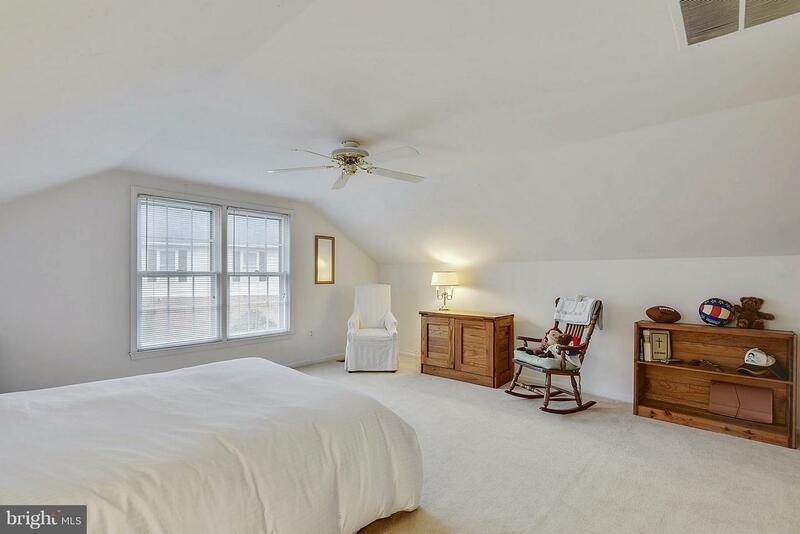 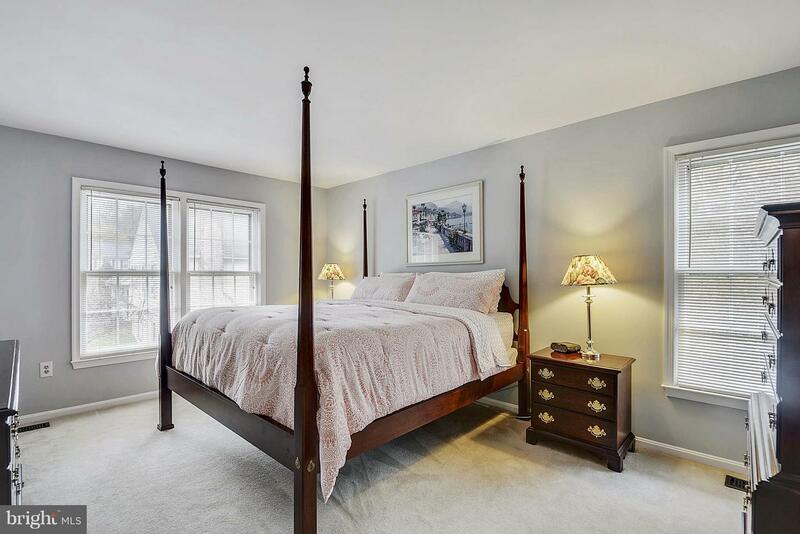 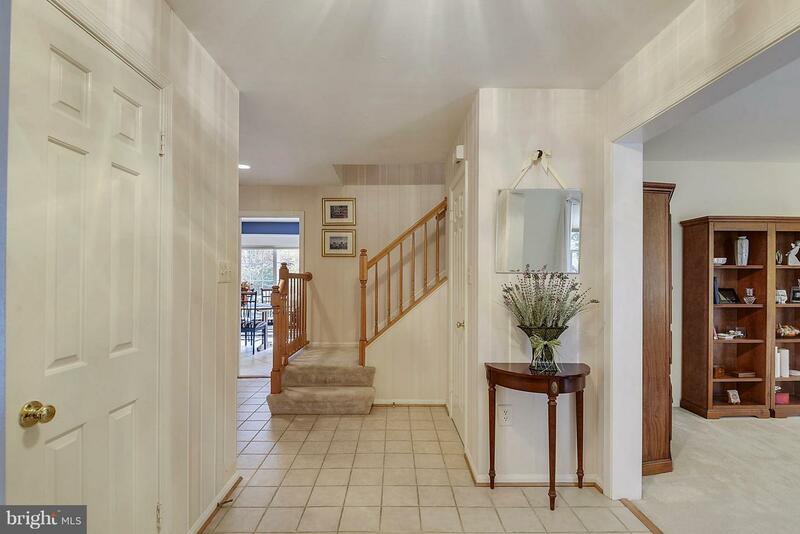 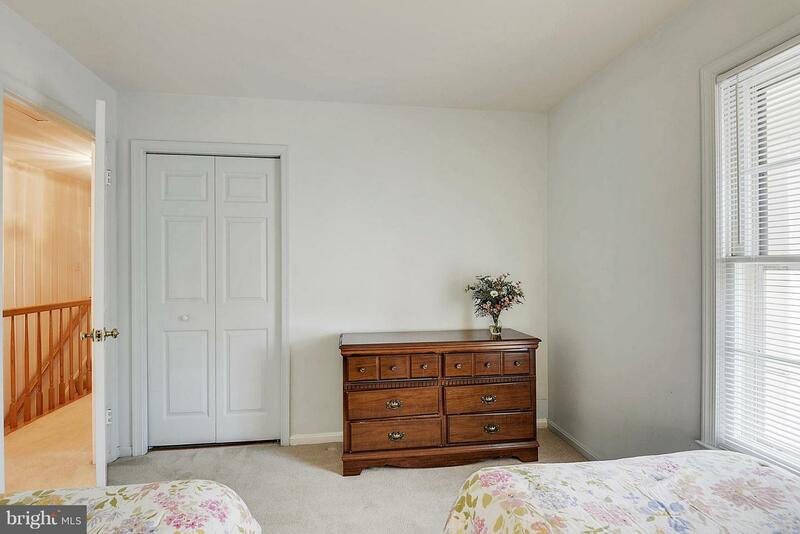 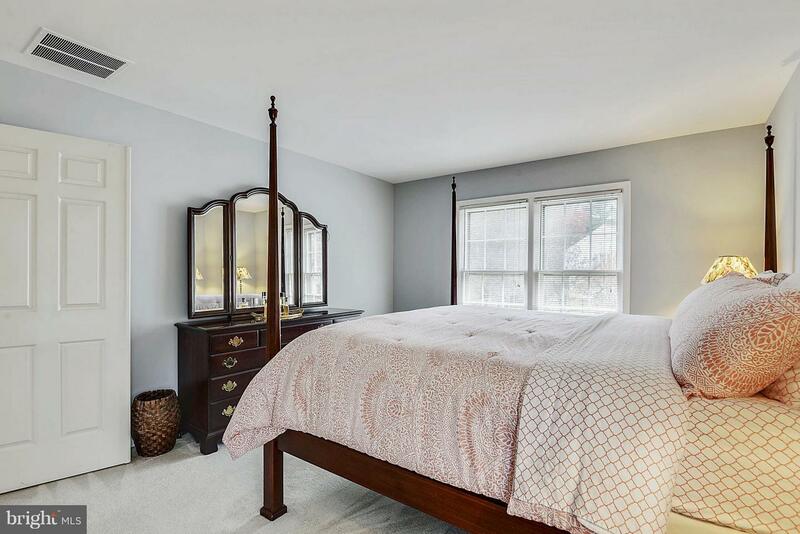 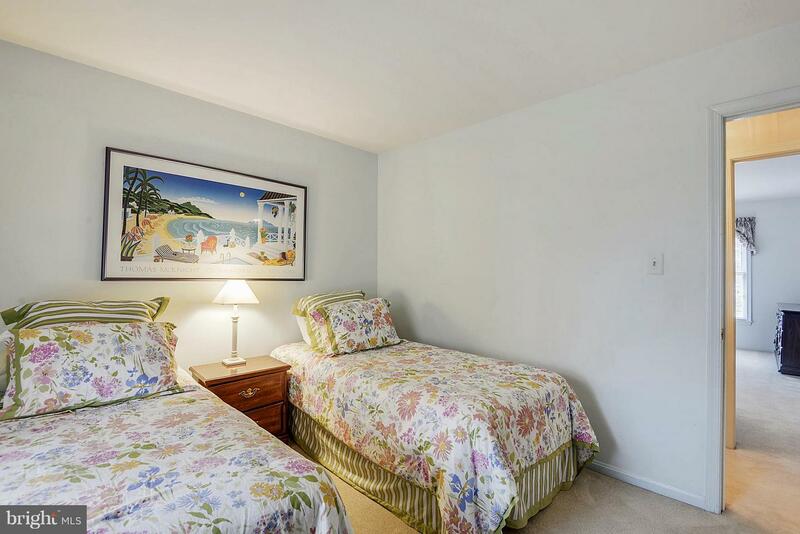 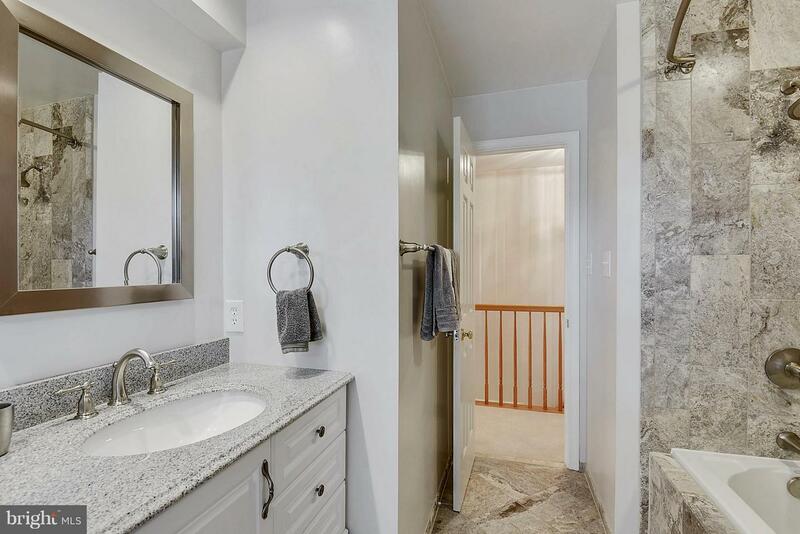 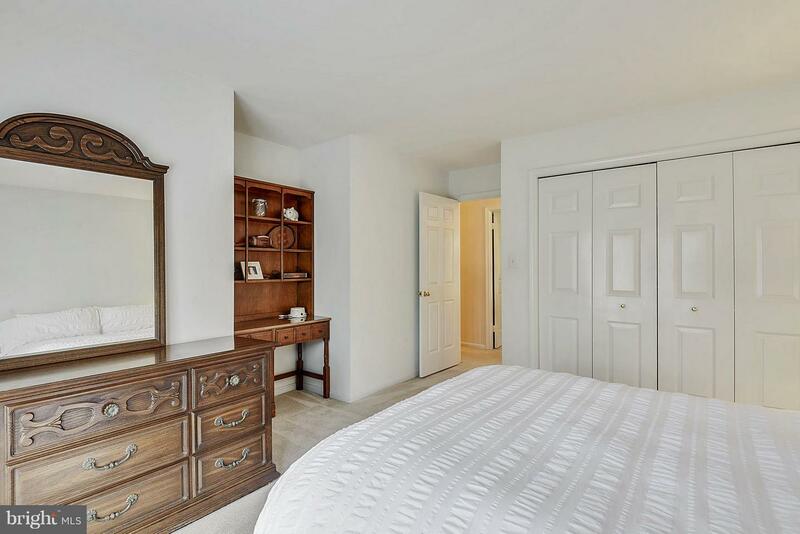 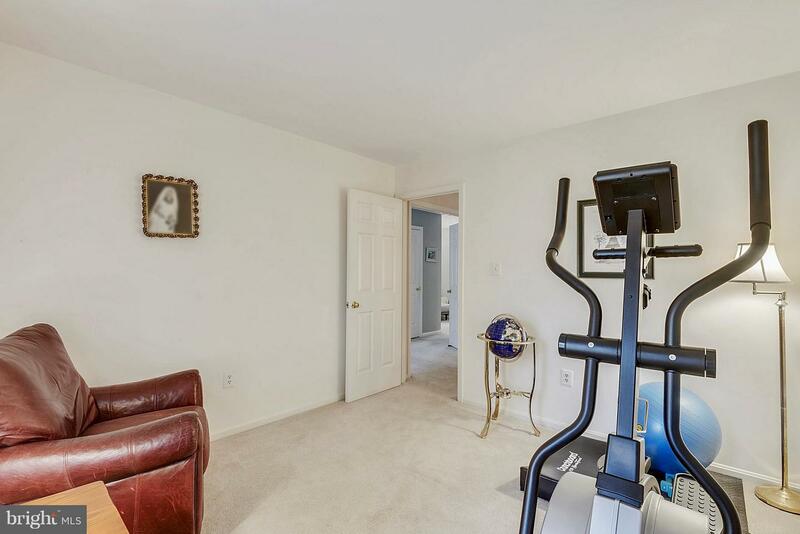 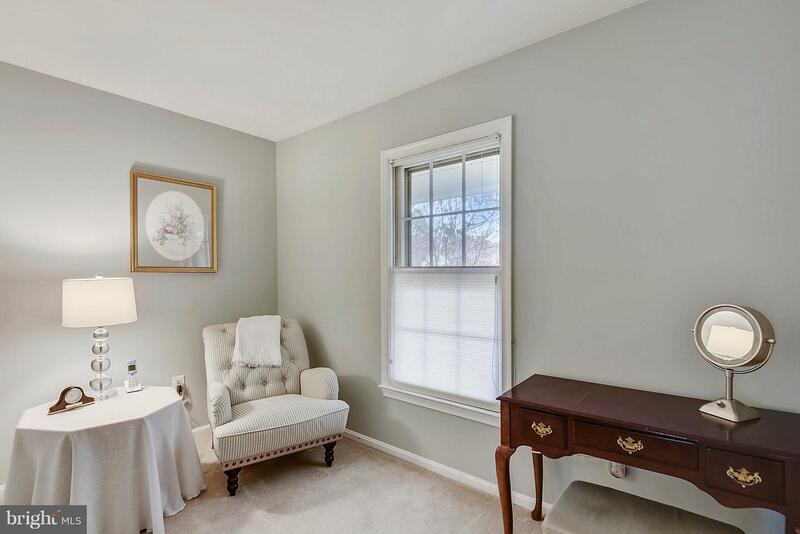 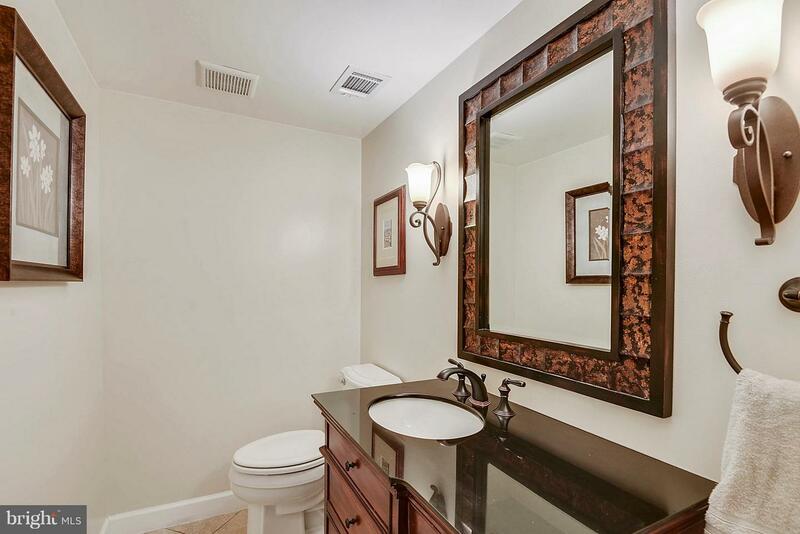 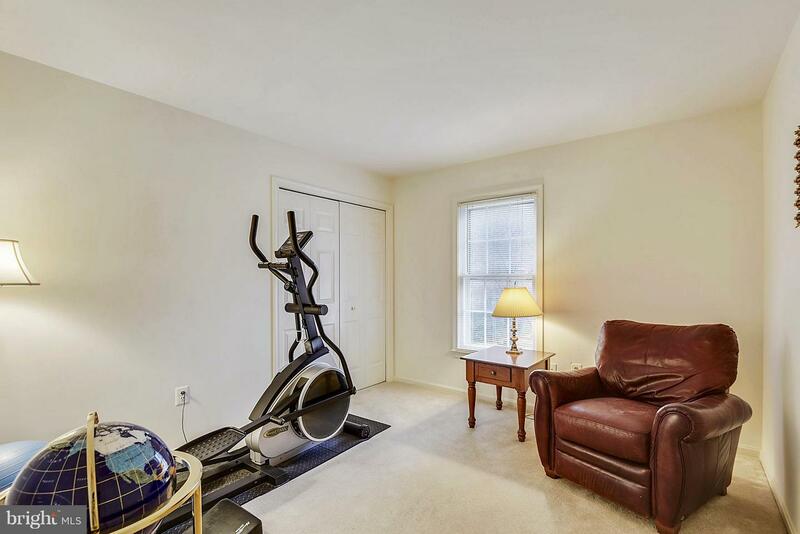 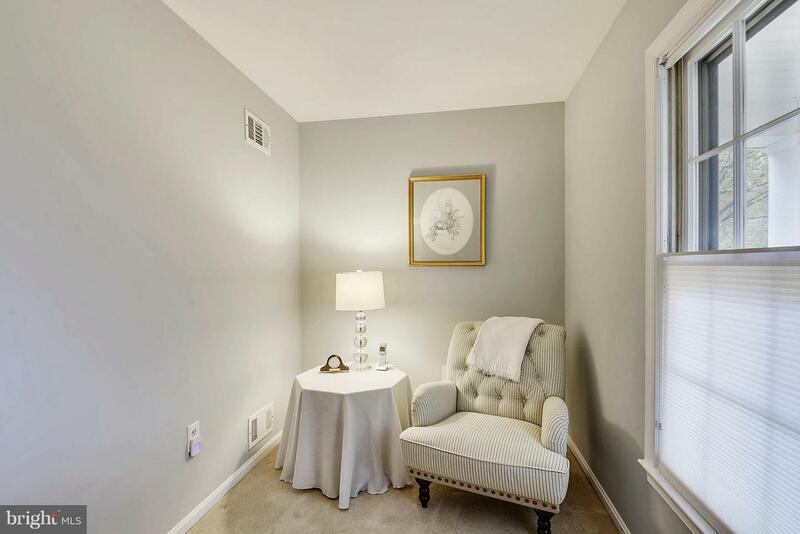 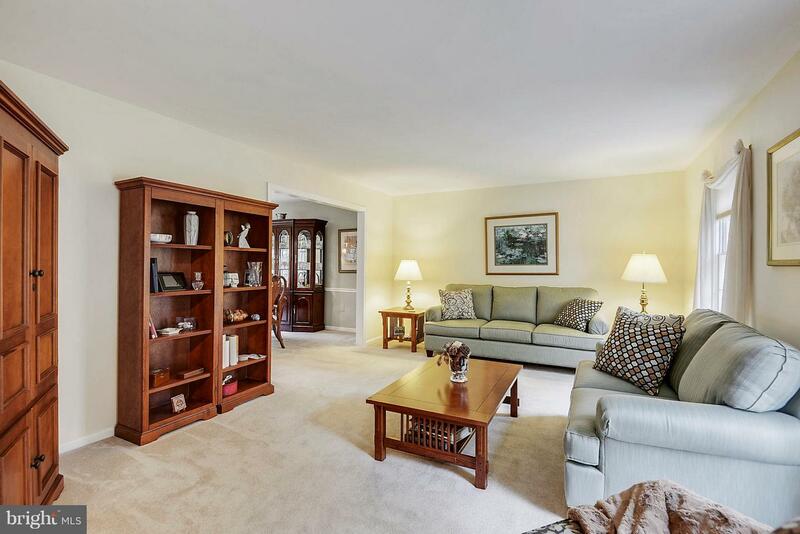 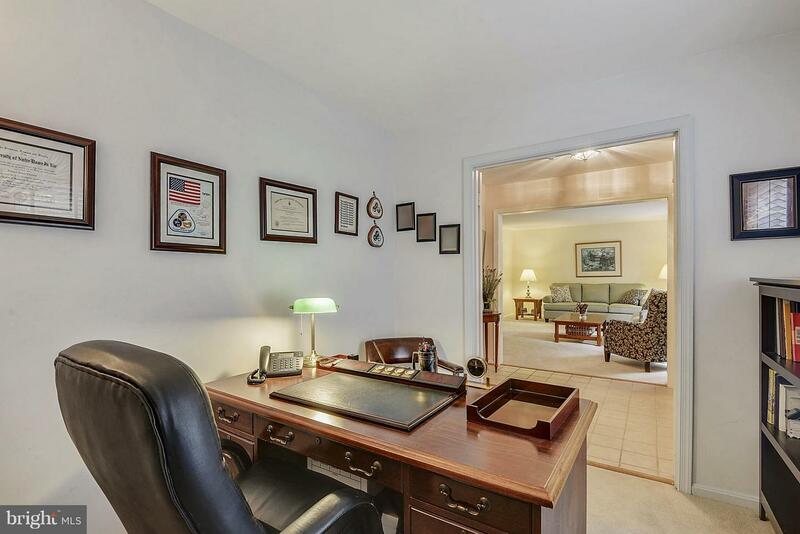 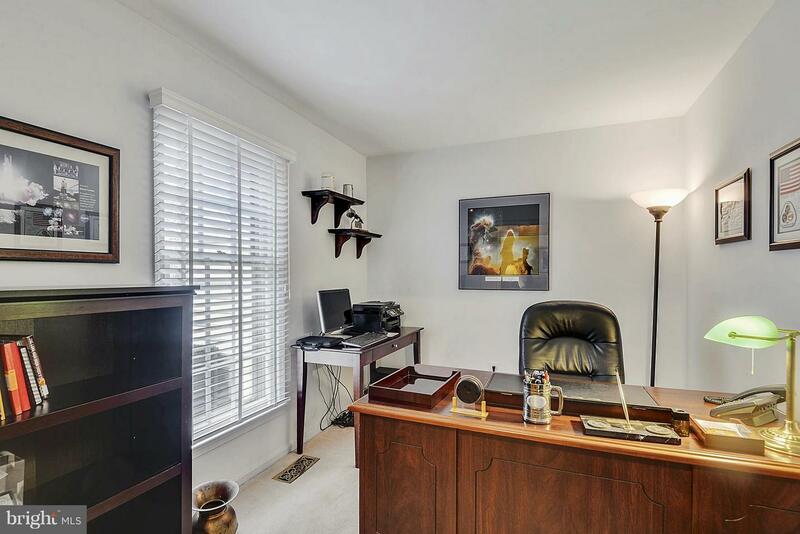 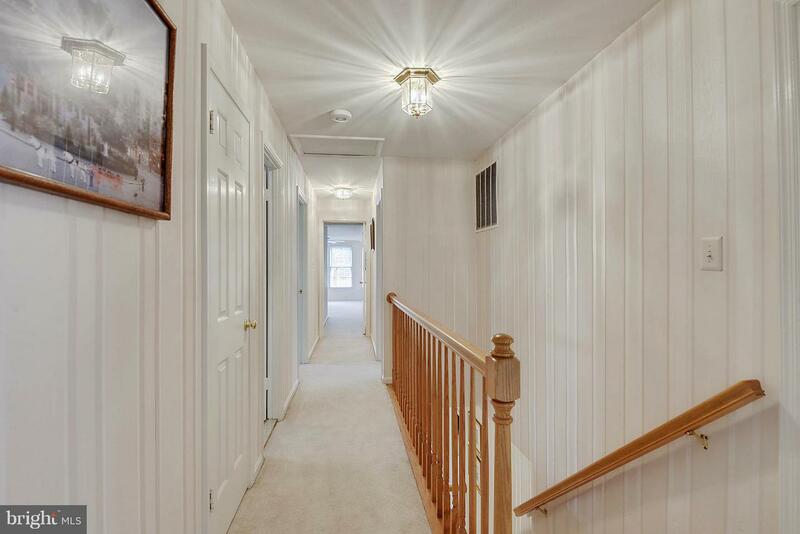 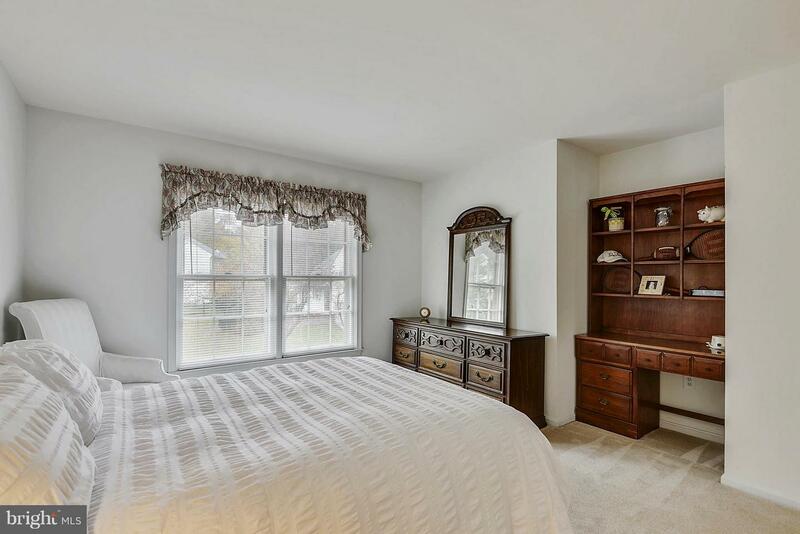 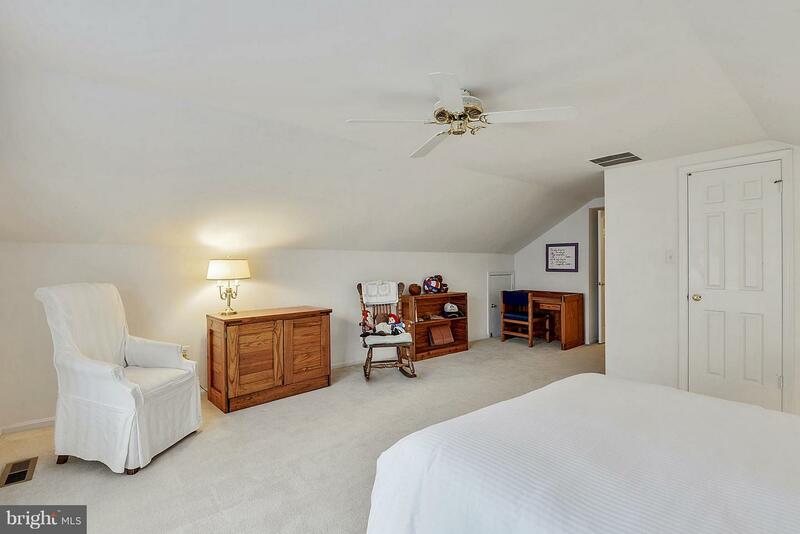 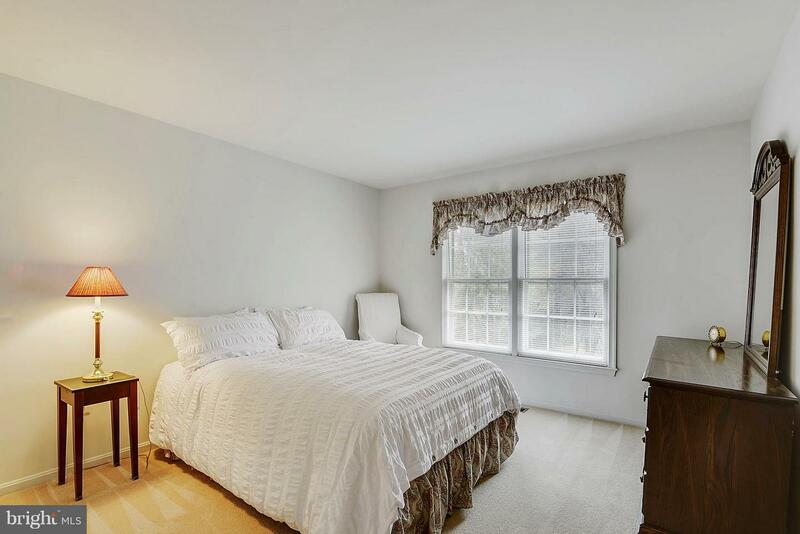 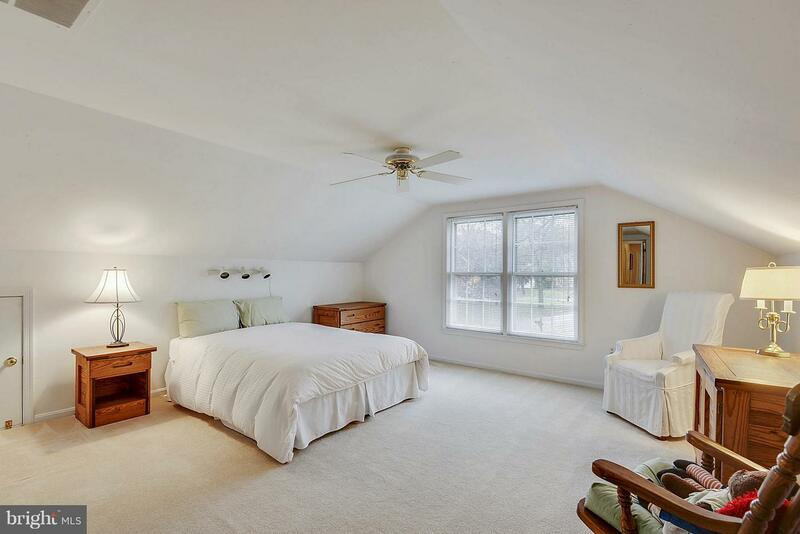 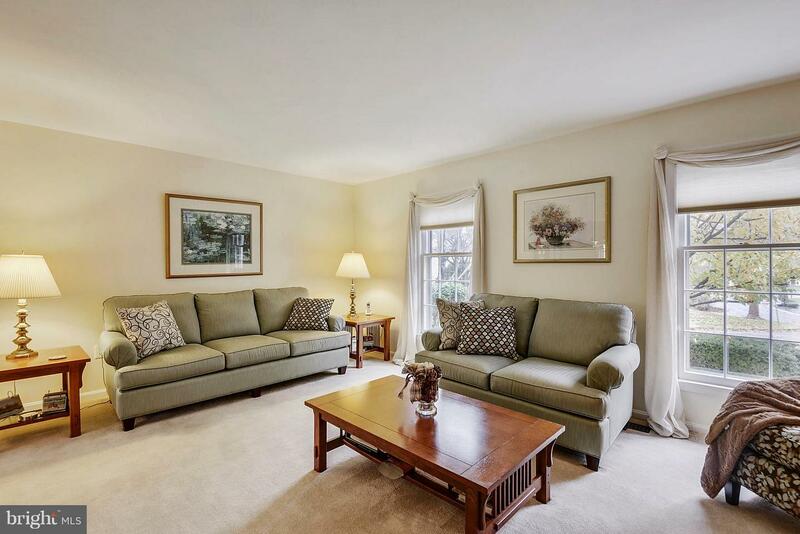 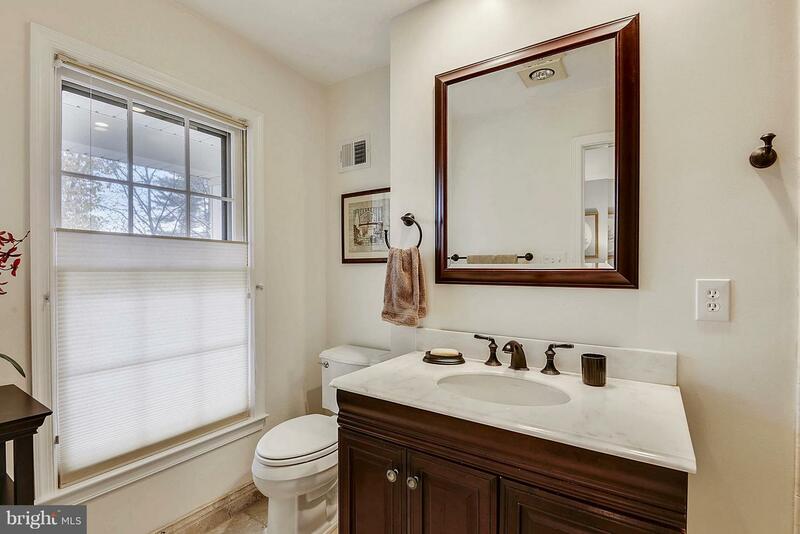 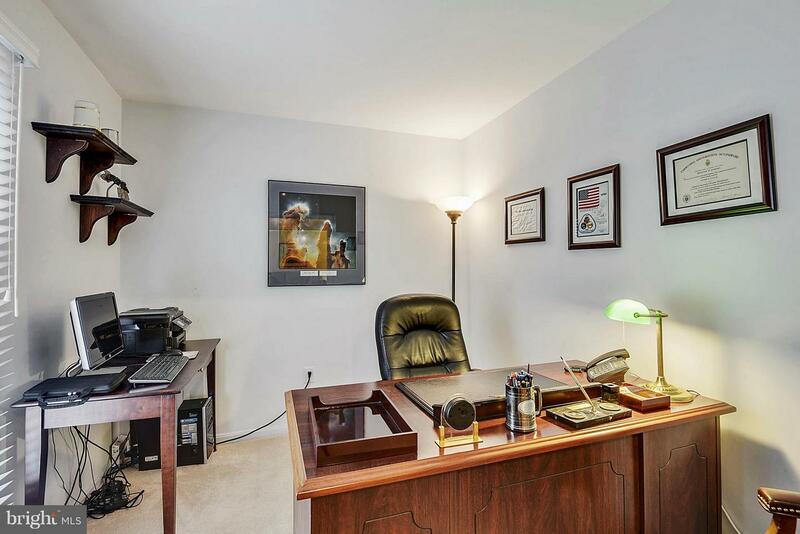 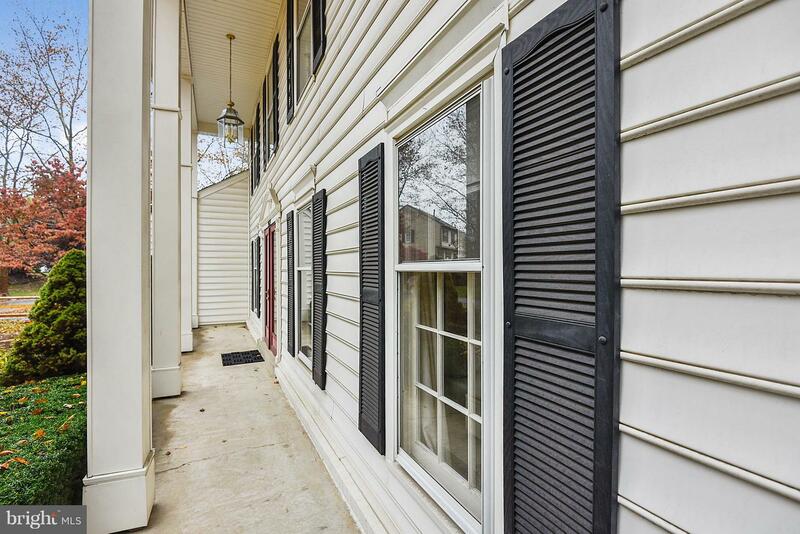 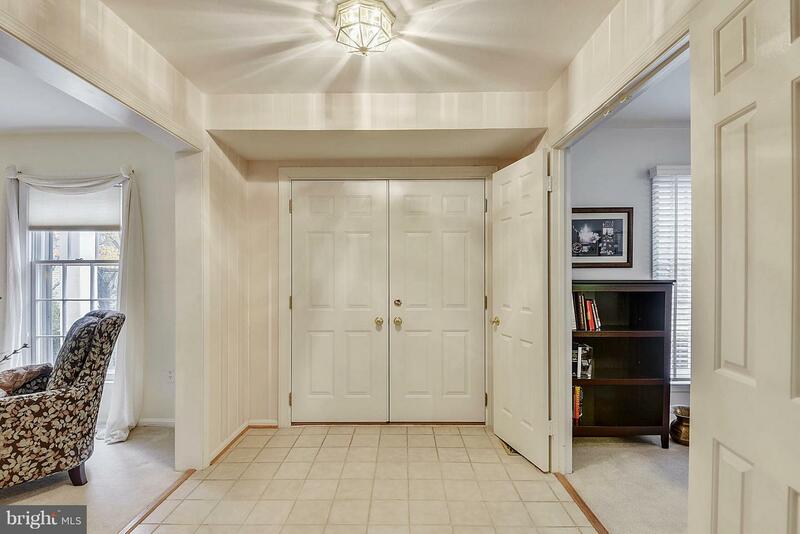 Master bedroom has a sitting room, walk-in closet, & access to updated master bath. 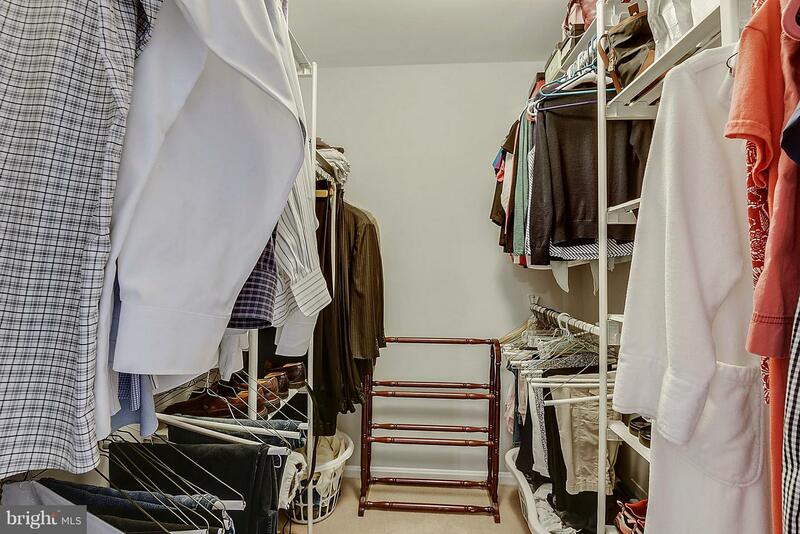 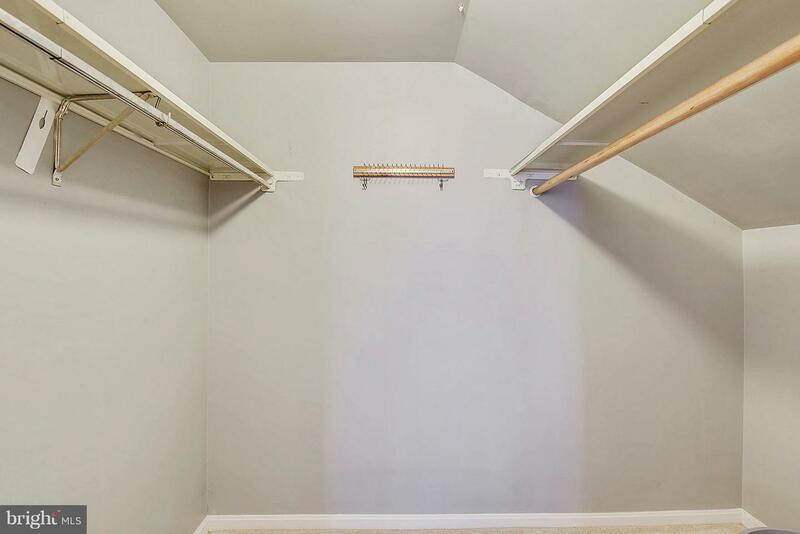 5th bedroom has a large walk-in closet, and two storage closets. 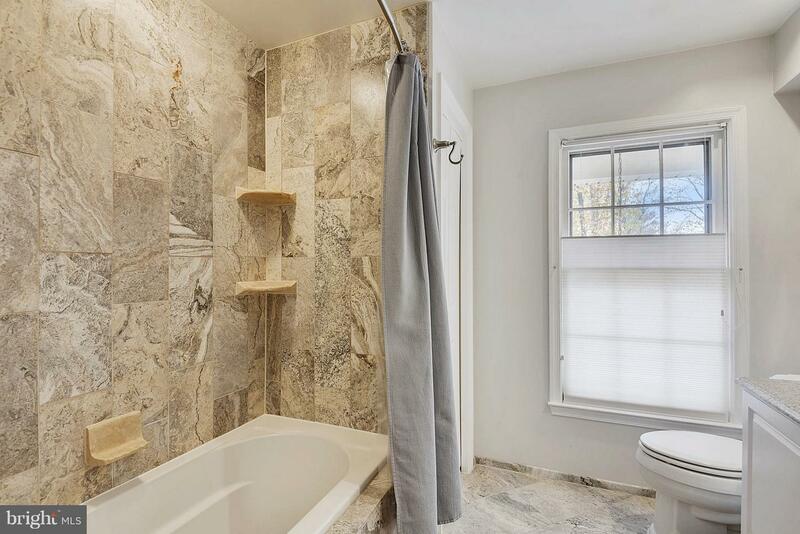 Updated baths. 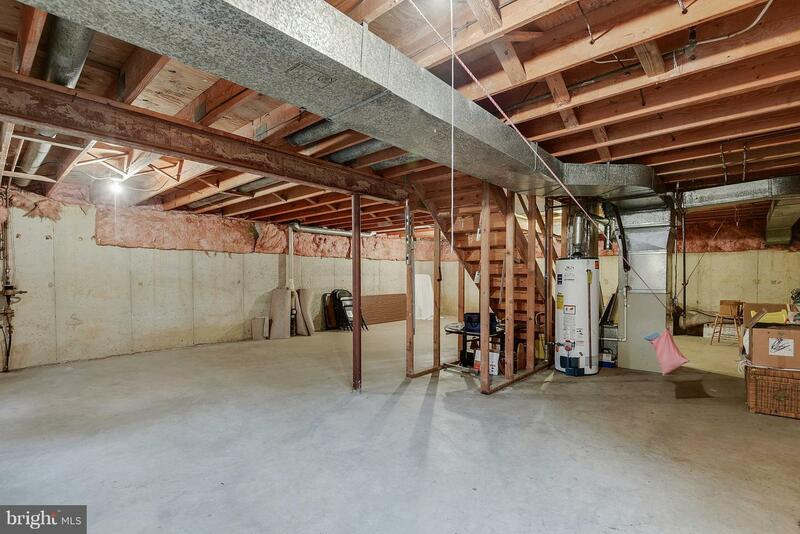 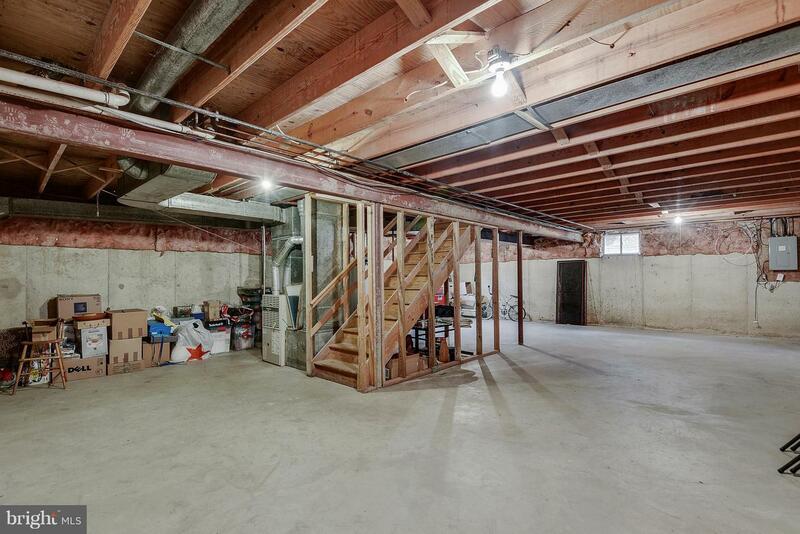 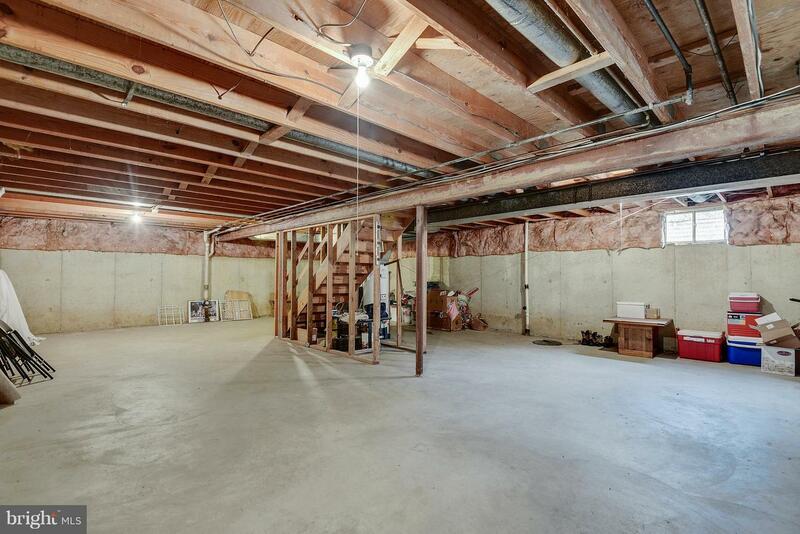 Unfinished lower level basement awaits your imagination. 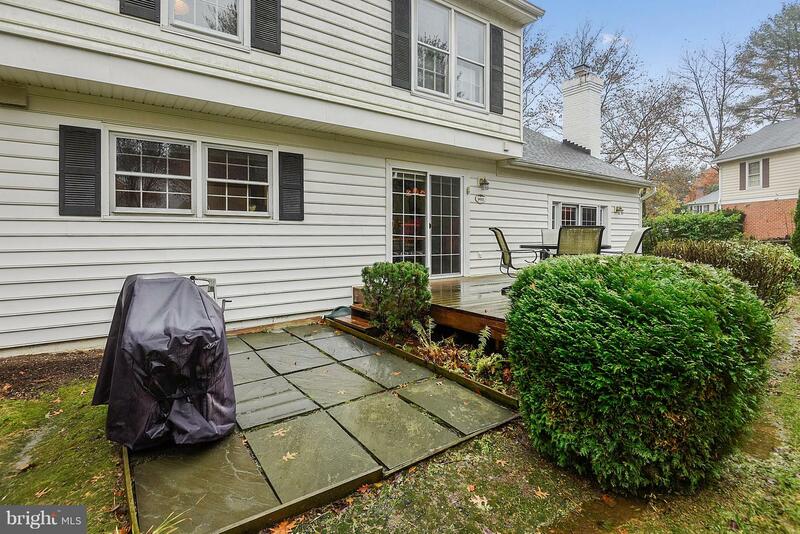 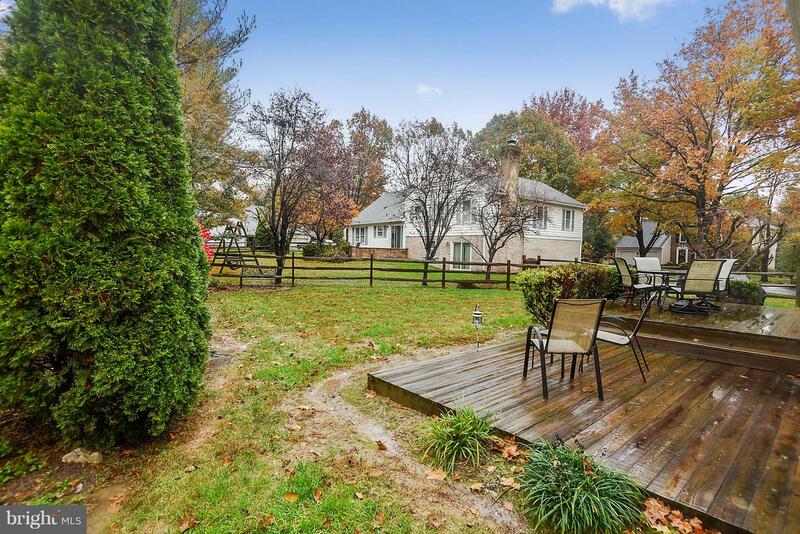 Tiered deck, patio, and gated fenced backyard. 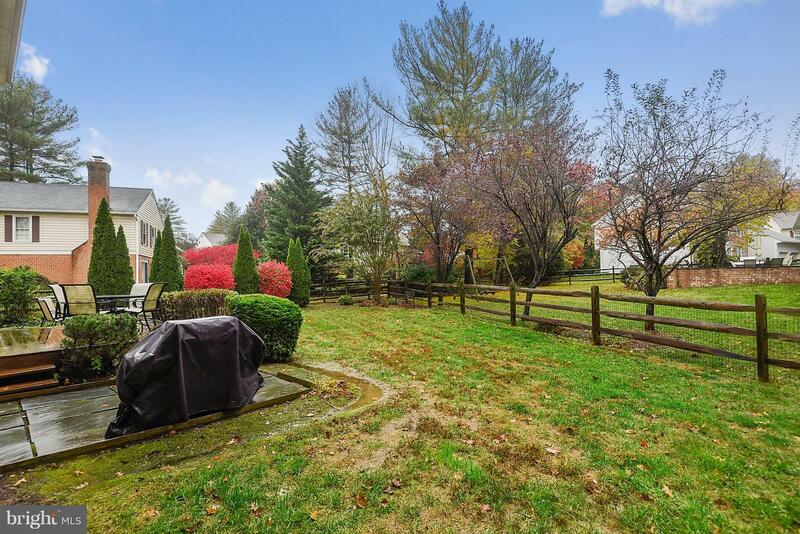 Corner lot at the head of 2 cul-de-sacs. 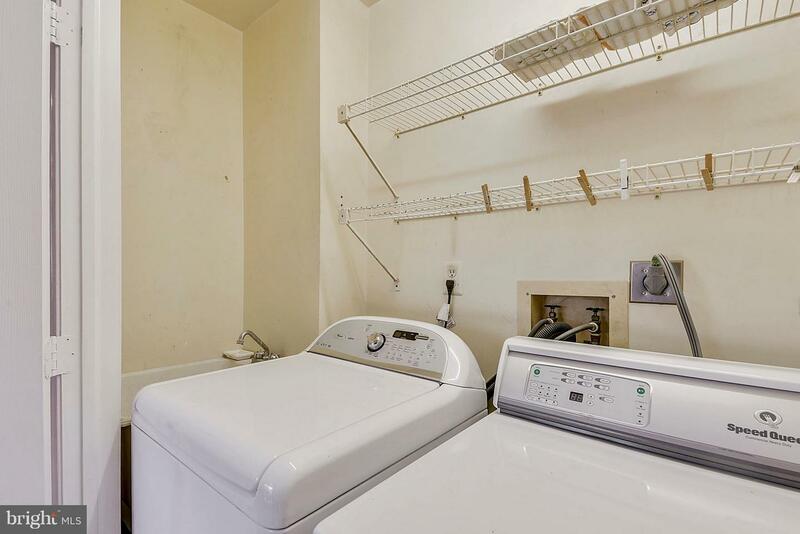 One year home warranty.